The major difference in minimally invasive technologies and others is that the normal tissues are not injured. In true minimally invasive surgery, the blood supply and the nerve supply to the normal tissue is left intact. The only tissue addressed is the pathologic tissue causing pain. Because of these techniques, there is very little blood loss and no other soft tissue injury resulting in significantly faster recovery. In addition to the more rapid recovery, the ultimate outcomes are far more predictable; therefore, we get the best of both worlds, a predictable, successful outcome with a rapid recovery. This is truly “smart” technology. Because the surgical techniques are so focused on the specific pain pathologies (pain generator), we require much more thorough diagnostic testing. We call this pain mapping. A diagnostic work-up includes a thorough history and physical, an appropriate imaging study (or complimentary imaging studies), and diagnostic injections. These injections either anesthetize or stimulate the potentially painful tissue in order to validate the source of pain. There are other more specialized diagnostic tests that can also be performed if circumstances warrant their use. Once an accurate diagnosis is made, specific treatment options are discussed with the patient including outcome data when available in order to help them make an informed decision. 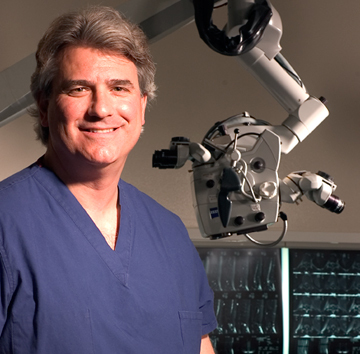 There are many doctors claiming to perform minimally invasive surgery. However, there are only a few that actually do. A weekend course does not adequately prepare a surgeon to understand Minimal Access Spine Technology (MAST) thought processes, pain mapping, and especially the specific surgical techniques and tools. The use of an operative microscope is not necessarily minimally invasive surgery. It is the entire approach of accurate diagnosis, specific treatment options, precision surgery, and spine directed rehabilitation that makes it work. Without all elements of the care working complementary, it is not minimally invasive surgery.